My first graders have always L-O-V-E-D games and so do I! As a teacher, it is the perfect way to engage your learners in skill and have them practice, practice, practice. When students are highly engaged, not only are they learning but it gives you an opportunity to meet with students who may need a little more help or some enrichment in a particular area. 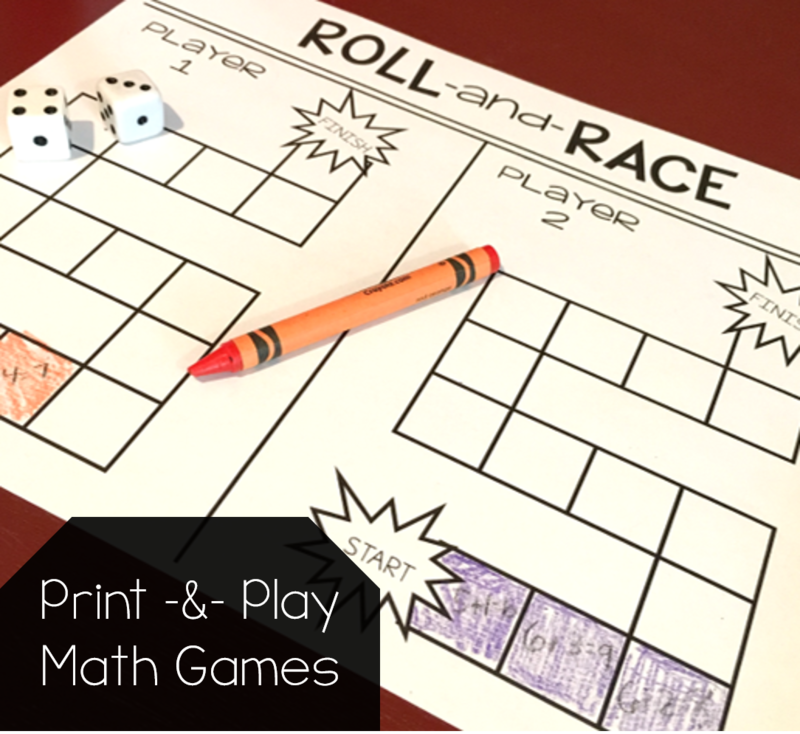 This game has each student rolling two dice and finding the sum. board and color in that spot. 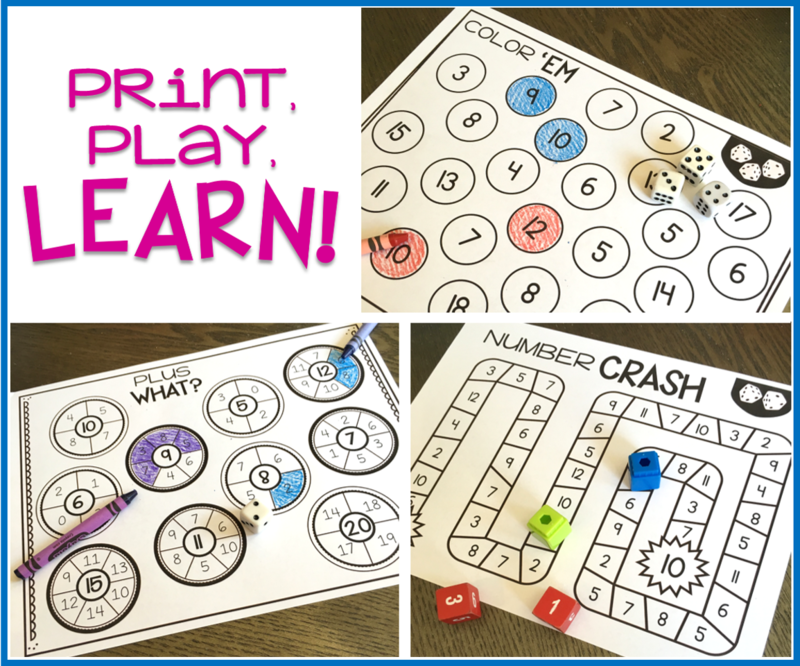 Players continue rolling and adding until someone reaches the finish first! This game has 2 different gameboards and can be played with 2 dice or 3. 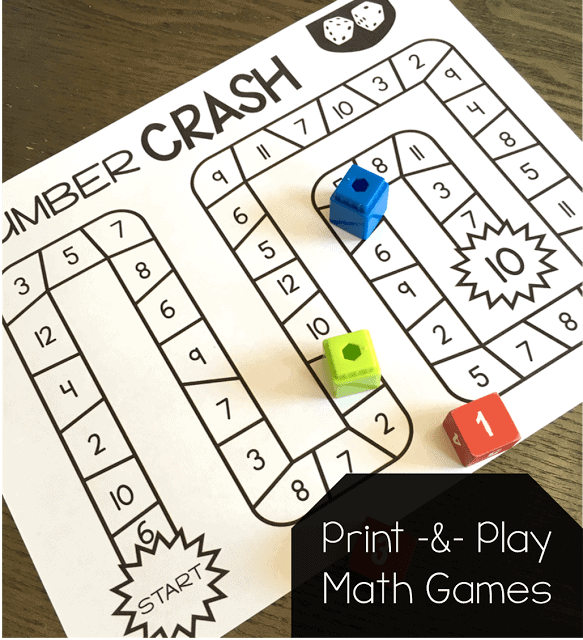 Step 1: Roll 2 dice and find the sum. Step 2: Move your cube to the first space with that sum. Step 3: If, at any point during the game both players are on the same spot, they CRASH and both move back to start. Step 4: Students continue until a player gets to the finish (10). – Students must roll a sum of 10 in order to win. – If there is no matching sum between the player’s cube and the end of the game, their turn is skipped. 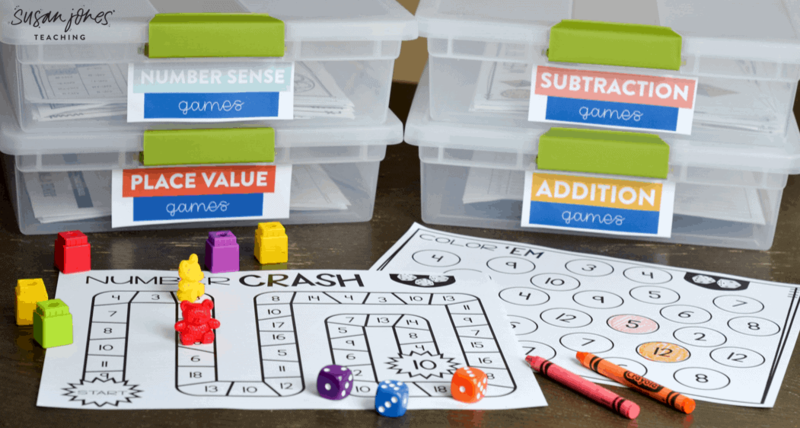 This one is an enrichment game to help your students with missing addends. 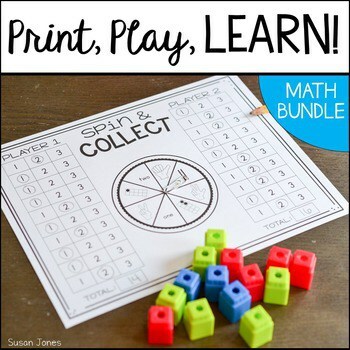 In this game, students take turns rolling a die and trying to find the other addend that equals the sum in the middle of the circle. 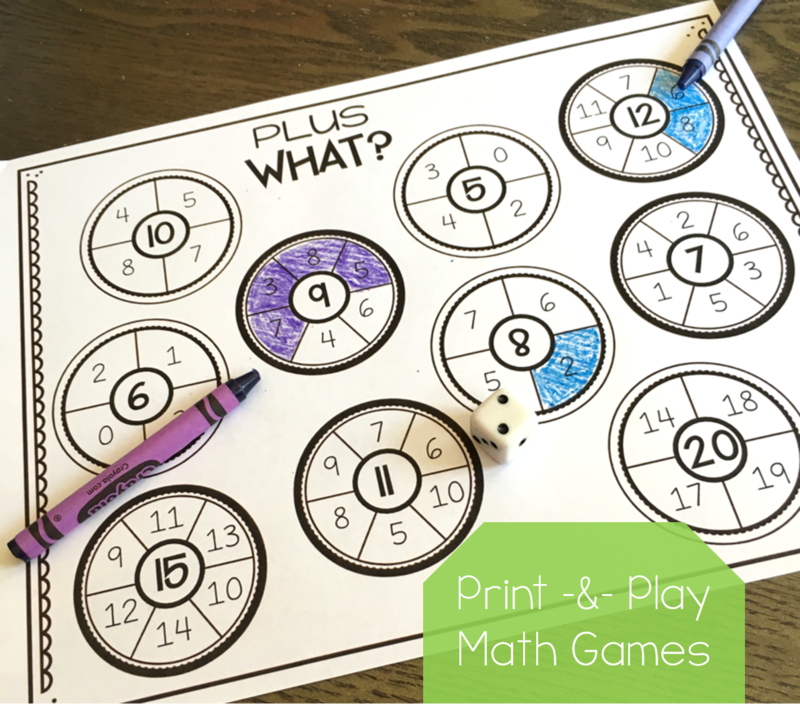 In the example above, I rolled a 2, so I chose to color in the 7 portion of the circle with a 9 in the middle because 2 + 7 = 9. The goal is to be the first player to color in one whole circle! Loving your site!!! Your ideas are going to be soooo helpful! Thank you! Signing up for your newsletter! 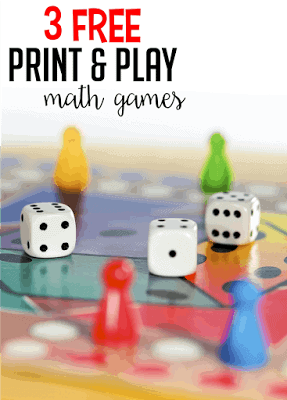 Looking forward to playing these games with my six year old. These are going to save me so much time!